Meanwhile, melt half of the butter in a small saucepan, stir in flour to form paste. Gradually add milk, stirring continuously to form a smooth sauce. Over medium high heat, melt remaining butter in fry pan. Sauté vegetables until just cooked. Cook for a further 3 to 5 minutes until scallops are firm and lightly browned. 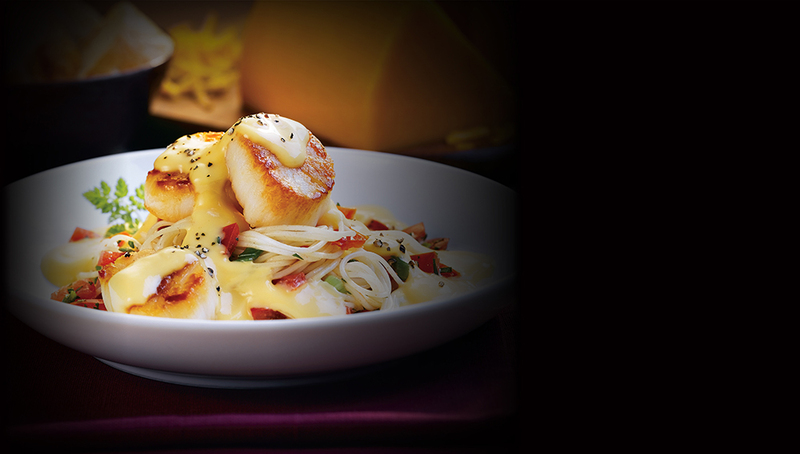 To serve: Spoon pasta onto plates, top with scallop mixture, sauce and cracked black pepper.